From my fourth-year architecture studio, located currently in the Communications building north of the Armory on the Iowa State University campus, I’m walking at the end of the day past the construction site of the Student Innovation Center which is going up north of Hoover and south of Sweeney (for more info on the building going up see https://www.inside.iastate.edu/article/2017/01/12/center). 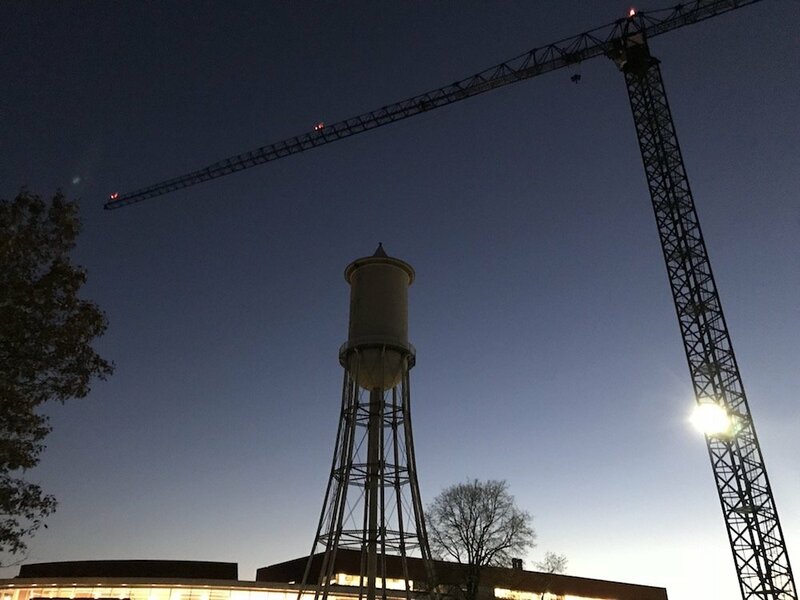 Now that we’re moving closer to the shortest day (December 21), my experience after studio happens as the sun has already set but the sky is still light toward the west. 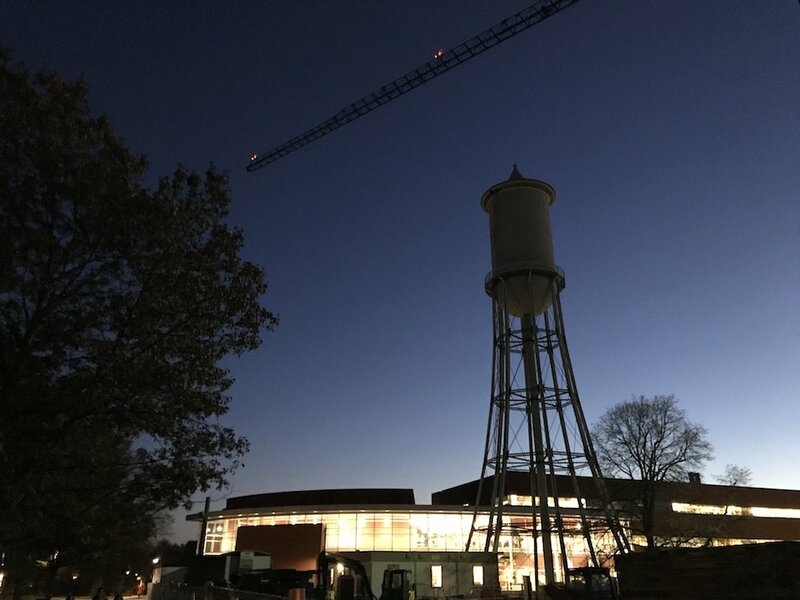 For the photograph below I stopped, briefly, to capture the contrast between crane, the old water tower, and the already existing Hoover Hall. Then I moved on.